There is nothing like the sonic effects of tape emulation to warm up a digital sound. As far as free plugins go, TDS is a winner in all aspects. It accurately recreates the character produced by a wide range of vintage devices – from analog reels to reel recorders – while presenting a modern take on the historically exploited coloration. The unit first introduces basic compression, to shape the dynamic range of the input. Then, there is a saturation amount control that works in conjunction with the input level followed by a limiter to engage peaks that made it through the compression and saturation stages. Think of TDS as a plugin that brings the now desirable nuances that once burdened the tape era (like wow, flutter, and over-magnetizing) to the digital world. Next time you get stuck on a dull, digital sound, try livening it up with some tape saturation. Keep in mind, understanding the nuances of tape behavior and predicting how this behavior can enhance your sound will take some practice and a lot of careful listening (as will most production tasks). But I assure you, you will hear an admirable difference with TDS even on its most gentle settings. In my opinion, SPAN is the best free analyzer out there. The spectrum’s visual slope is set, more or less, in a way that represents most of today’s productions – as a horizontal line, meaning all frequencies have approximately the same amount of space on the display. I have not experienced this on any other free analyzer I have used in the past. If you prefer the more familiar analyzer slope, you can change the display settings. Another useful feature in SPAN is the ability to view two different analyses at the same time. 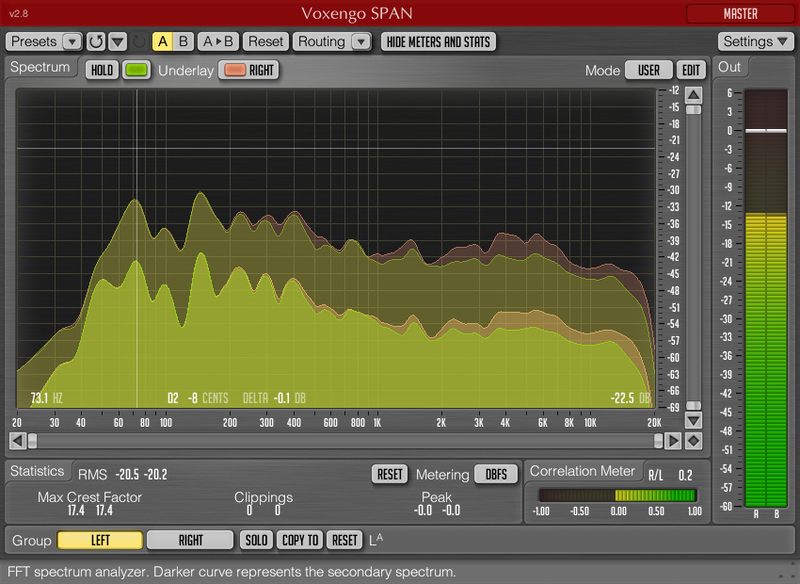 You can view a fast responding analyzer as well as average gain values across the frequency spectrum. On top of this, you have a peak meter, correlation meter, RMS meter, crest factor, clip counter and a general metering display. Listening always provides the best insight but visual aids are important too because they divulge imbalances and correlation issues you may not be able to hear on your system. Try running the some productions that are influential to you through SPAN to get used to what they look like. This will give you a nice reference of the balance you’re trying to achieve. 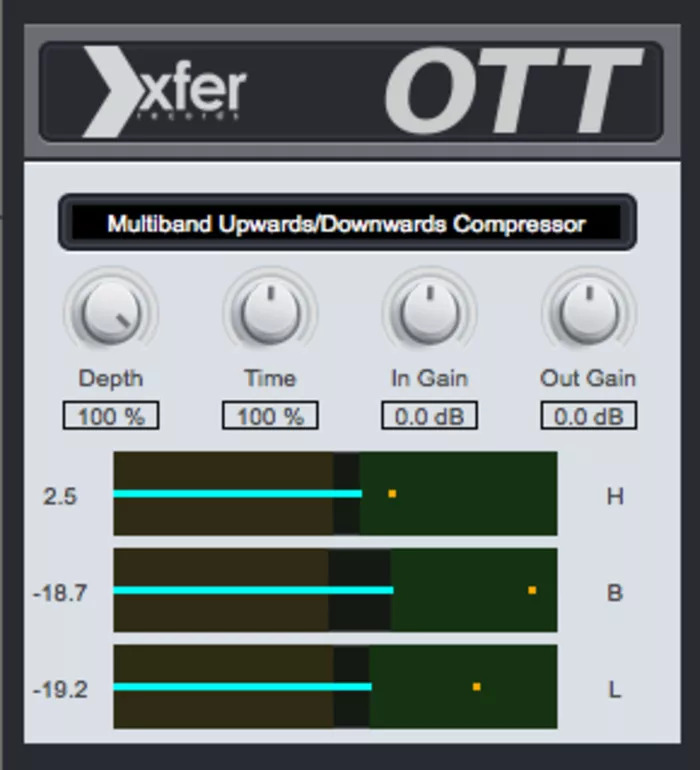 OTT is a multi-band processor that applies aggressive compression from above and below, forcing the signal into a specific dynamic range and spectral balance. It is very effective when trying to achieve the treatment you hear on so many modern EDM productions and it is becoming the pioneer of its own signature sound (especially on lead and bass sounds). By aggressively controlling the relationship of frequency bands, OTT can make the most stubborn of sounds come to life. It can even mangle imperceptibly short reverb tails that pass through it, serving as a part of the sound’s texture in a very obvious way. 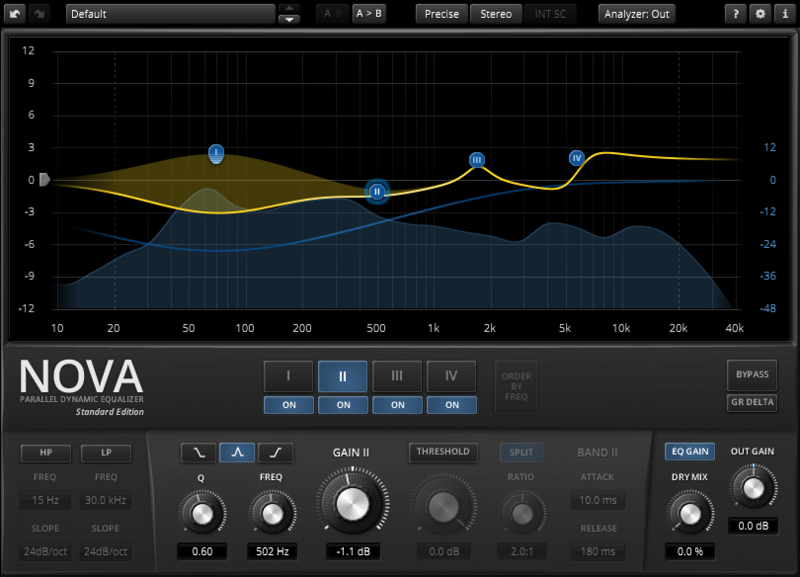 TDR Nova is a dynamic EQ with a twist. Aside from having 4 EQ bands that can work as separate dynamic processors, it includes a parallel band called wideband that consists of all the frequencies NOT being treated by any of the 4 bands (mind-blowing). 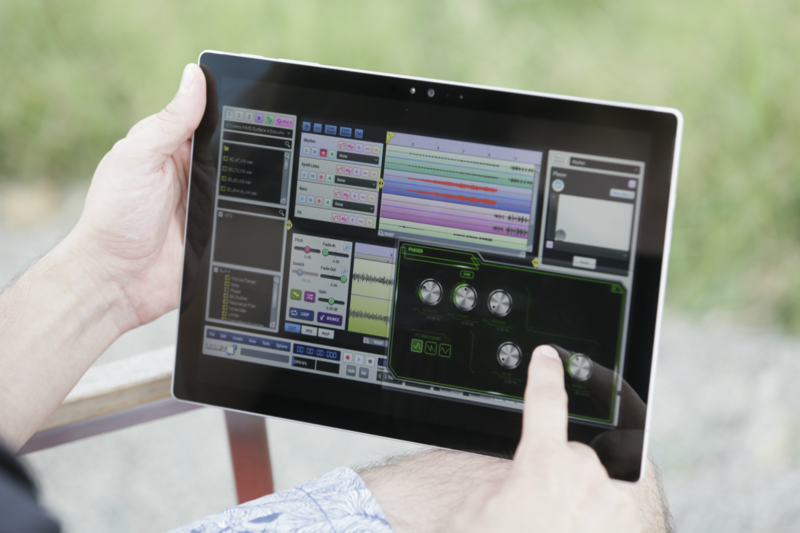 This provides great flexibility – making it possible, for example, to compress or expand the entire spectrum of the song with the exception of one particular spot. Nova’s possibilities are quite impressive. Bands’ compression settings can be linked or controlled individually. It can be implemented as a multi-band compressor, de-­esser, regular EQ or mid-side EQ, and it can treat left and right channels separately. Two non­-dynamic filters are included in the bottom left of the window with a parallel processing option and controls for dry/wet. Another nice feature is the GR DELTA button that allows you to hear the effect of the dynamic processing only, without the EQ. I had a trouble believing this was a free VST. I thought for sure there was some catch…but I haven’t found one. It is the best free DX7 emulator I can find and you can actually import programs from it in the “cartridge” window. 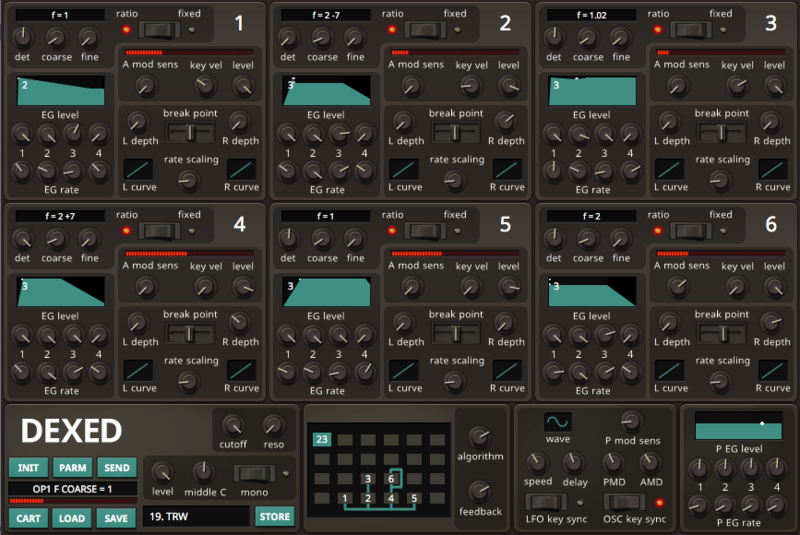 The interface is segmented into 6 operators, an LFO, a modulation matrix, a pitch envelope, and some master settings. The frequencies of the operators can be fixed or determined by C:M ratio (they can either change depending on the note that is being played or not). Each operator has options for mod amount and rate scaling in addition to extensive envelope and tune controls. The segments at the bottom allow you to sweep through 32 different algorithms for routing and 32 preset patches, making Dexed a no-brainer when it comes to free plugins.